Infographic: How fat is your food? 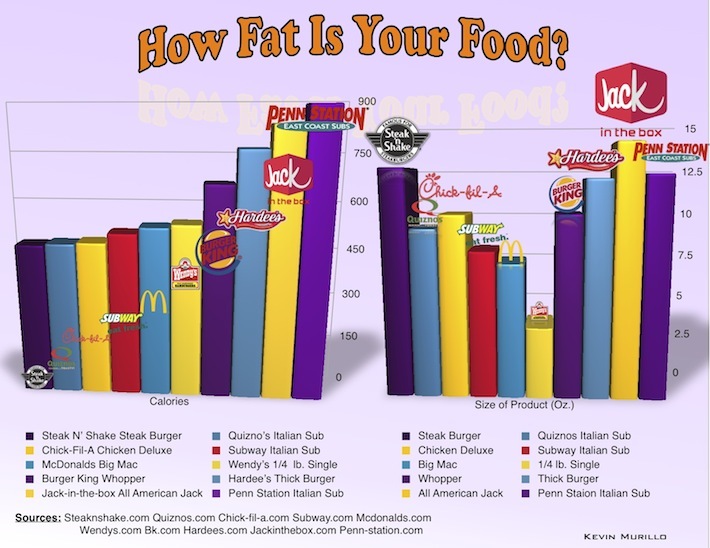 Home/Infographics/Health and Medicine/Infographic: How fat is your food? Kevin Murillo presents a survey of popular fast food entrees, focusing on calories and size of the meal.